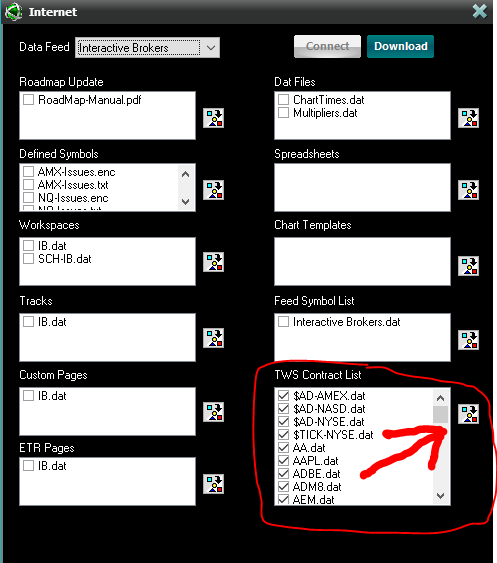 Note: Interactive Brokers data feed users will need to start with Step 1. All other data feed users can skip to step 5. Step 1: Open RoadMap™ and wait for the data feed box to light up green. 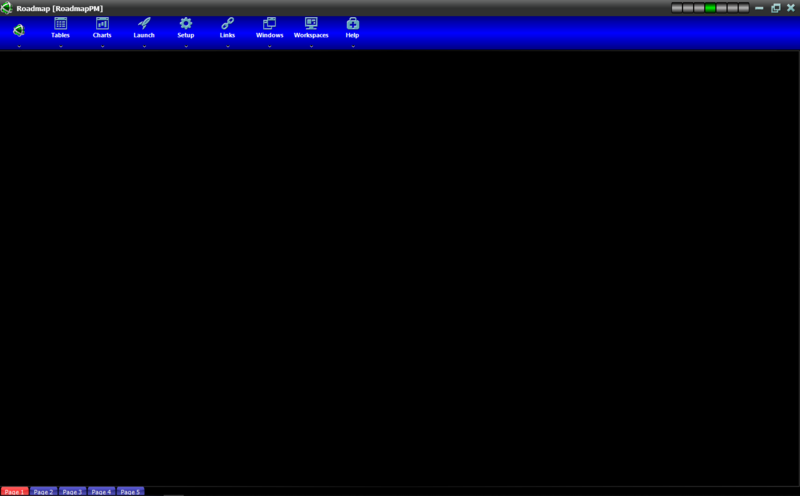 Step 2: Before opening a workspace, click Launch then Internet,select Interactive Brokers from the drop-down menu and then click Connect. Step 3: Click the mass check box next to the TWS Contract List and then click Download. Step 4: Shut down RoadMap™, then reopen, wait for the data feed box to light up green, click on Workspaces and open your workspace. Once your workspace has loaded in you can proceed to Step 5. Step 5: To rollover symbols, click on the green DTI symbol at the top left of your menu bar and then click Rollover. Step 6: A box will pop-up labeled "Change From." Type in the symbol you would like to rollover and press Ok. To mass rollover, type in just the contract month and year (i.e. "U18"). Note: Some data feeds use "18" as the year tag while other use "8." Step 7: Another box will pop-up labeled "Change To." Type in the symbol you would like to rollover to and press Ok. For a mass rollover, you would again type in just the contract month and year. 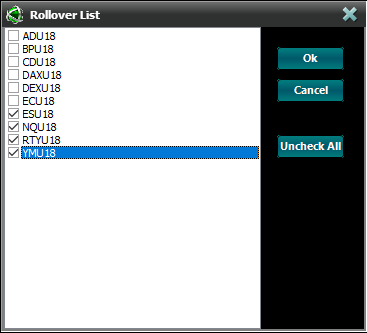 Step 8: A box will then pop-up labeled "Rollover List." From here you will usually need to check only the symbols you would like rolled over. By default the entire list is checked. 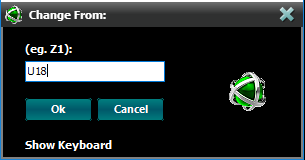 You can either uncheck the symbols you don't need or click the "Uncheck All" button and then check only the symbols you need. Once you believe you have all the necessary symbols checked, press Ok. Step 9: Once your symbols have updated on your custom page and charts to the new contract month, you will need to save your workspaces under the "Workspaces" drop down menu. 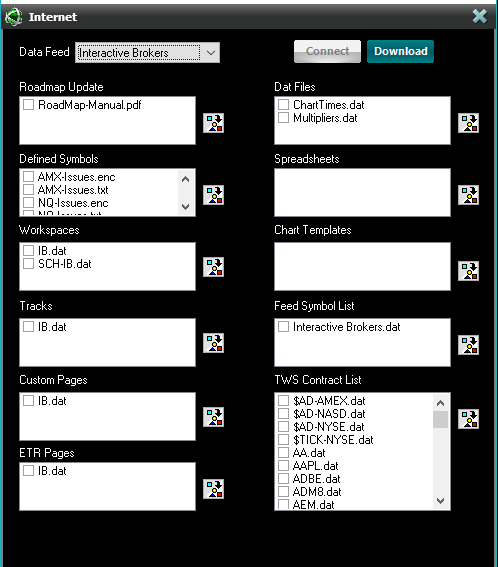 Step 10: The contract rollover does not save across the entire software. You will need to repeat these steps for each workspace.